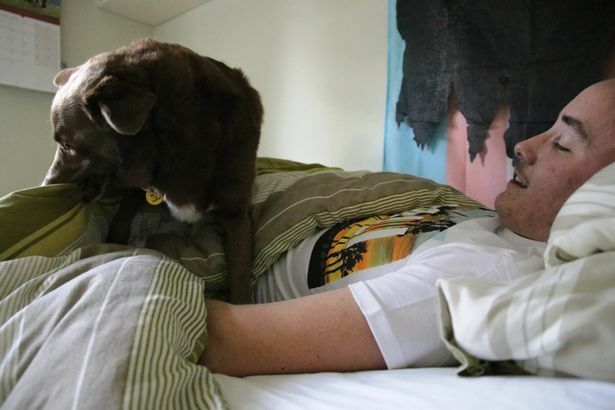 A Mansfield man has said he “couldn’t get through each day” without his rescue dog. 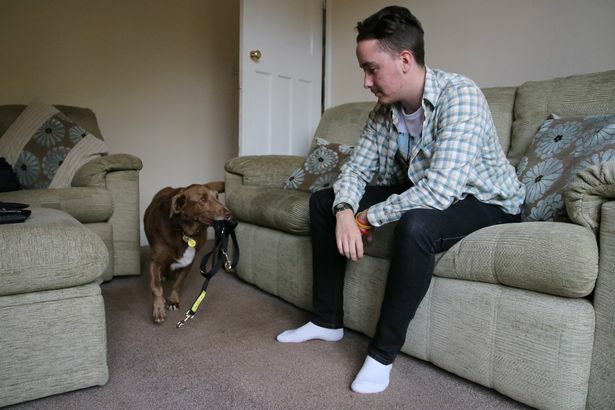 Robin Jones, 27, adopted collie-labrador cross Charlie, from the Dogs Trust in Loughborough two years ago, and now says he can’t imagine life without his dog, who is by his side from the moment he wakes up until he goes to bed. 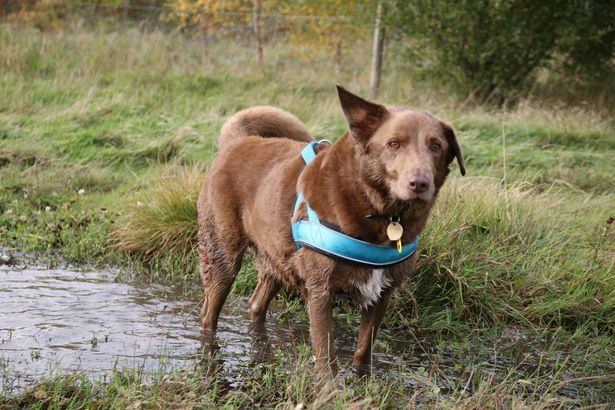 Mr Jones has Asperger Syndrome and he says his rescue dog, five-year-old Charlie, has made every day worth living. He said: “Sometimes the world feels overwhelming and often I don’t have the motivation to get out of bed, so we have trained Charlie to drag the covers off me and nudge me until I get up. Mr Jones works part-time as a service assistant at Screwfix in Mansfield, but having Asperger’s means he can find it stressful to have conversations with other people, especially strangers, and so it is often easier to choose to avoid social situations. He said: “I have learnt to cope at work but when I’m at home it is tempting to stay in, so we have trained him to bring his lead and harness to me and he drops it on my knee then waits, making it very clear it’s time to go for a walk. I know he needs to go out so even if I don’t feel like it, off we go. “He also helps me deal with things that otherwise would be impossible. When my grandfather died I was extremely anxious about attending the funeral, but Charlie was such a comfort. Charlie was a stray dog before being cared for by Dogs Trust Loughborough and now he is being trained to hopefully one day become an assistance dog. Mr Jones added: “We are teaching him other things, such as how to alert me if I have forgotten that I’ve started cooking something, and the ultimate goal is for him to be a fully qualified Assistance Dog.